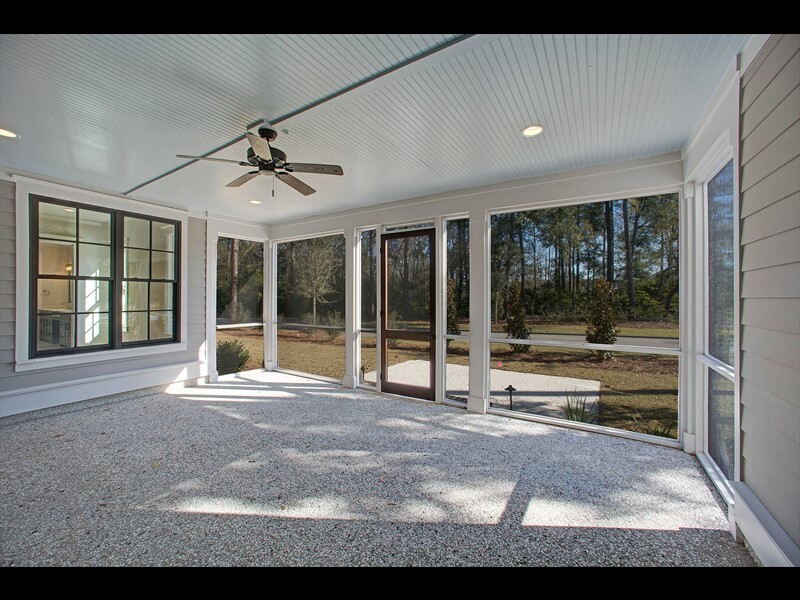 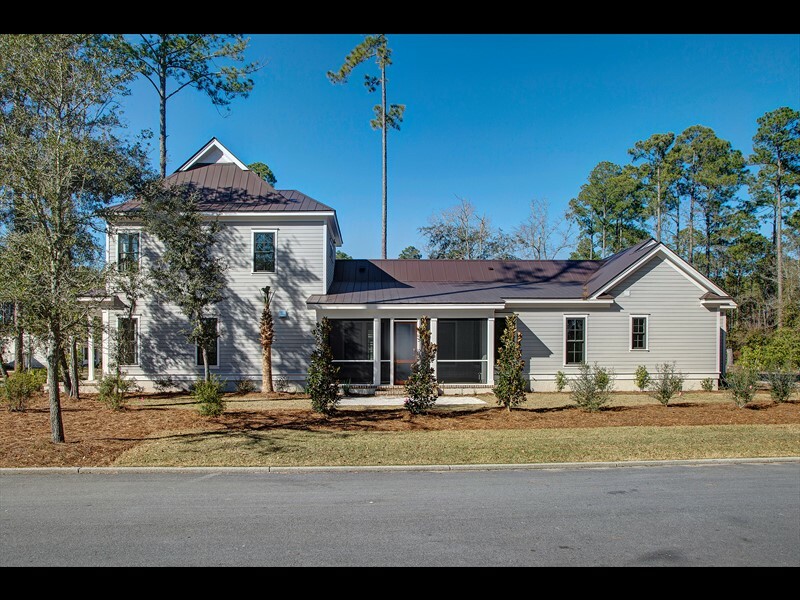 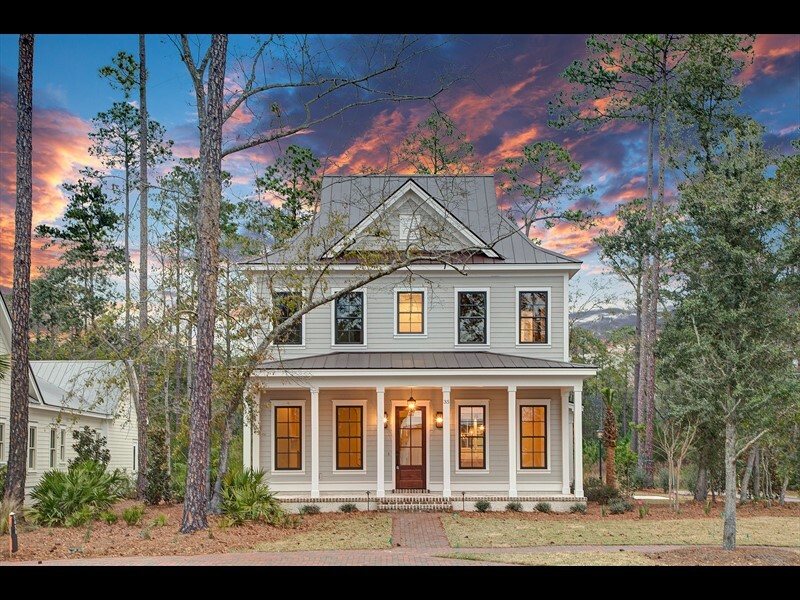 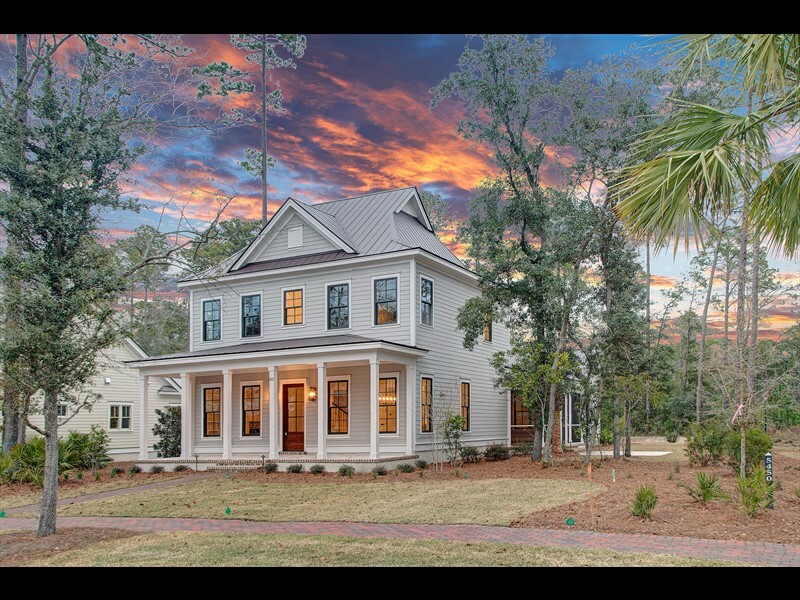 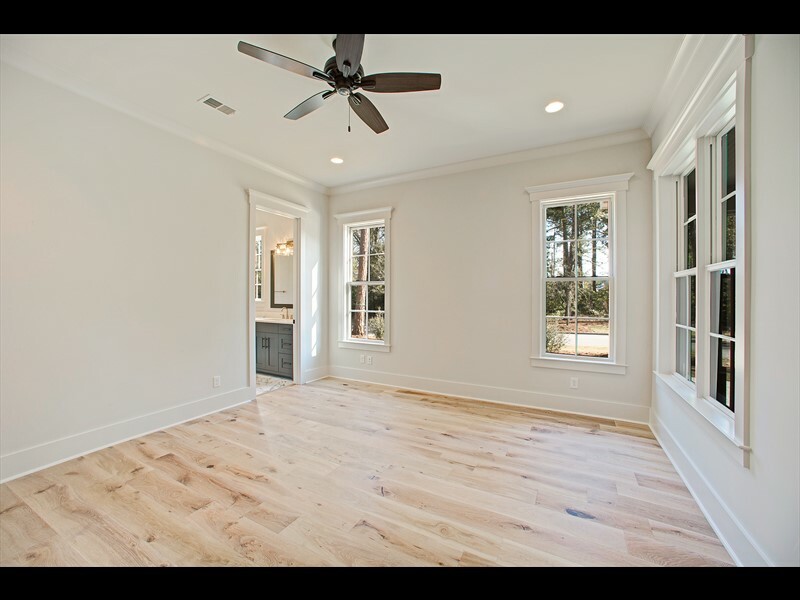 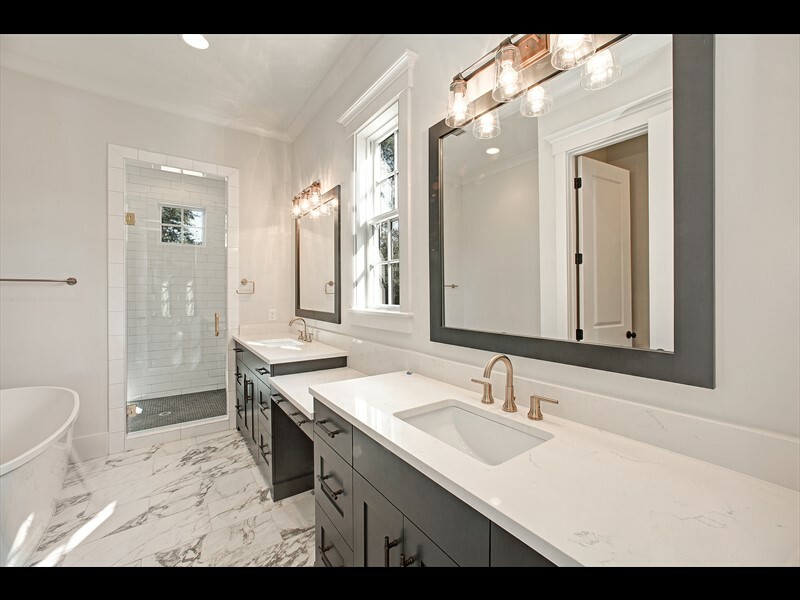 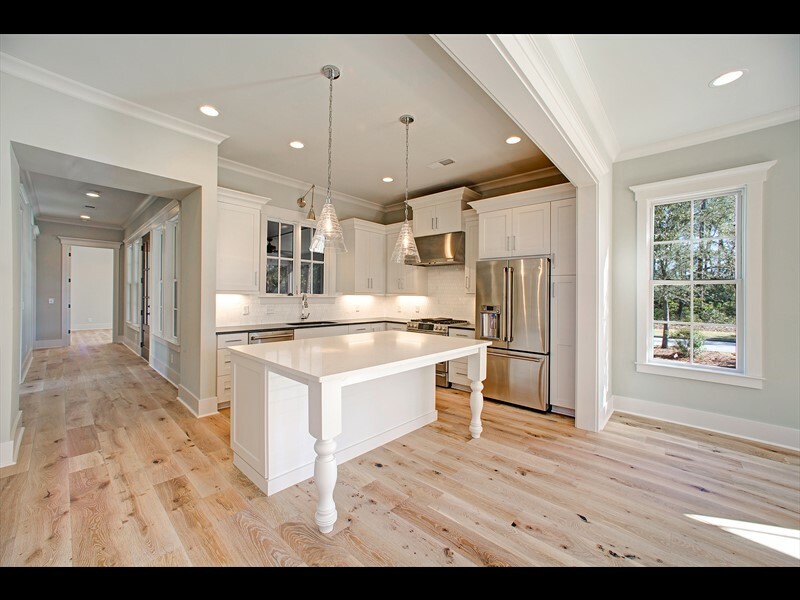 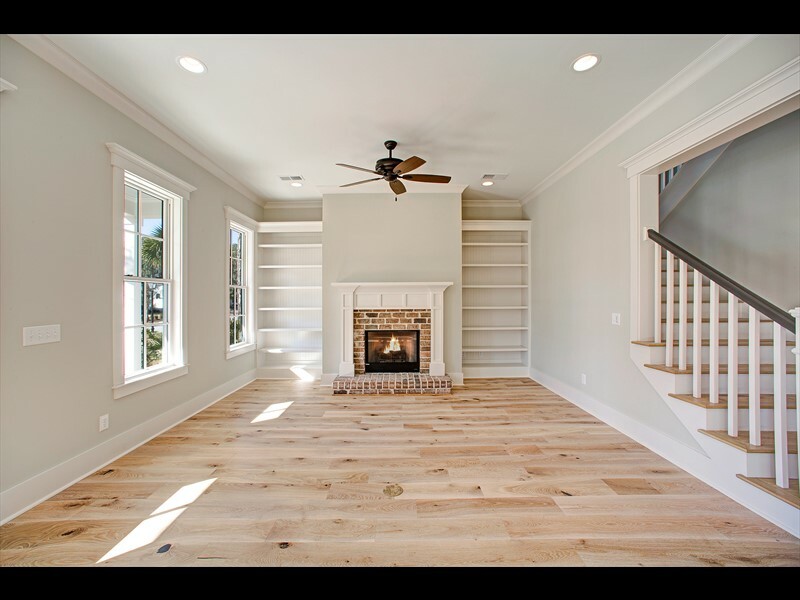 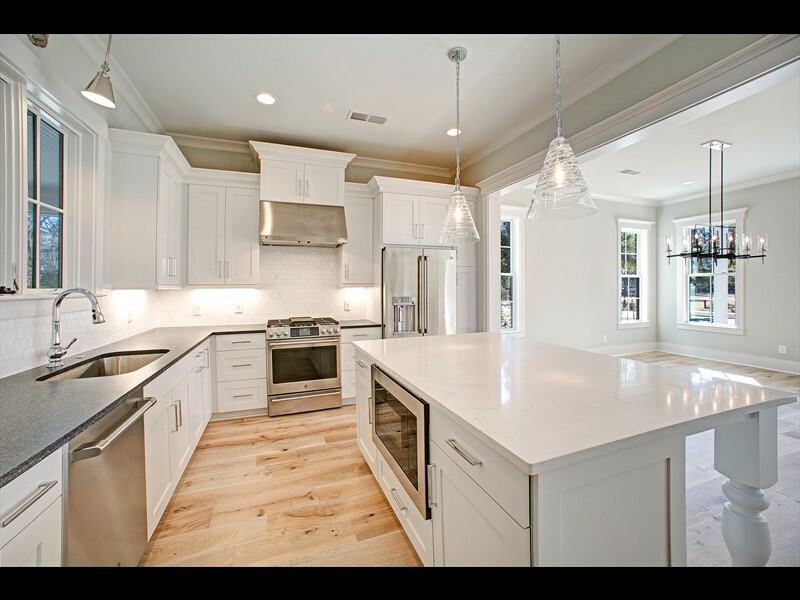 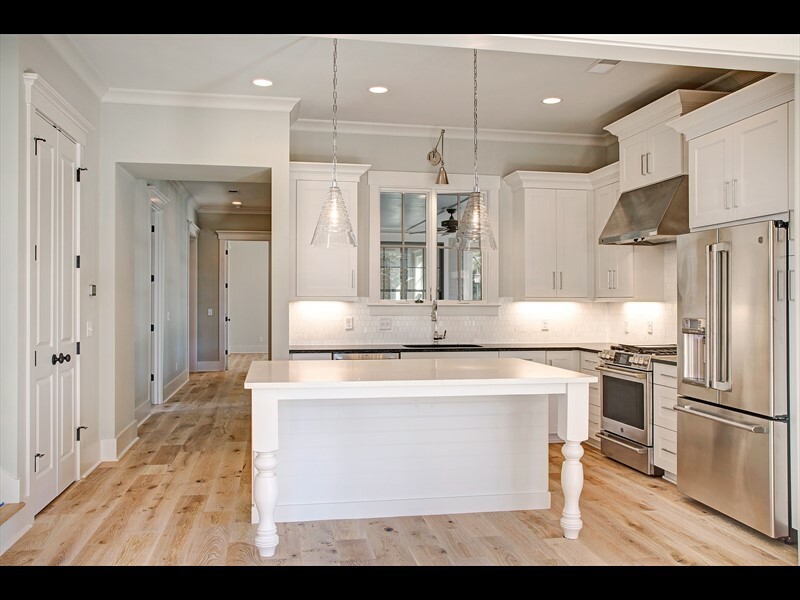 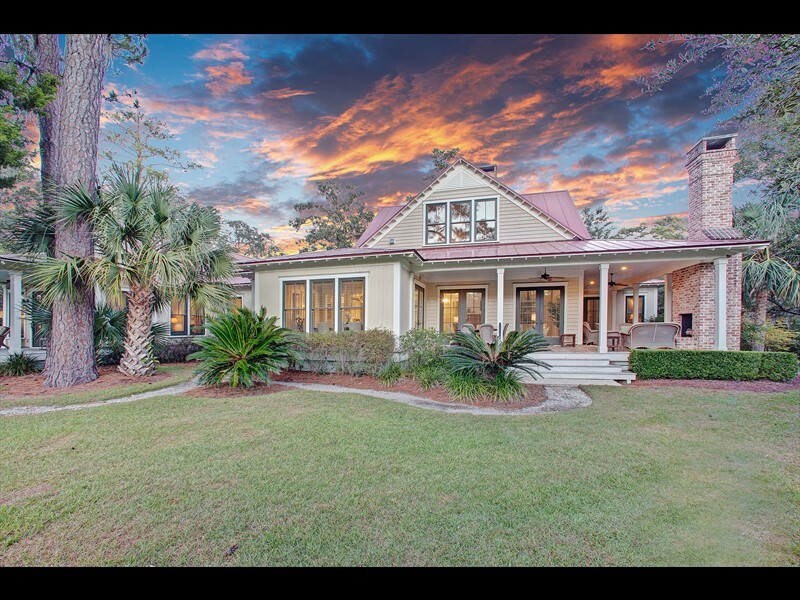 35 Remington Road is a beautiful four bedroom, four-and-a-half-bathroom residence designed exclusively for the River Road neighborhood of Palmetto Bluff. 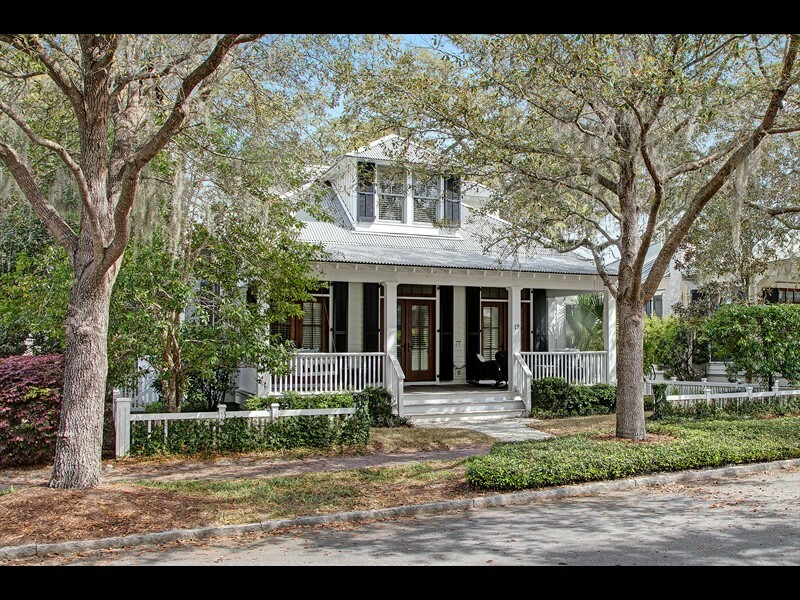 This neighborhood provides village streetscapes with sweeping park space, intricately designed private courtyards and gardens and multiple access points to the Palmetto Bluff inland waterway trail. 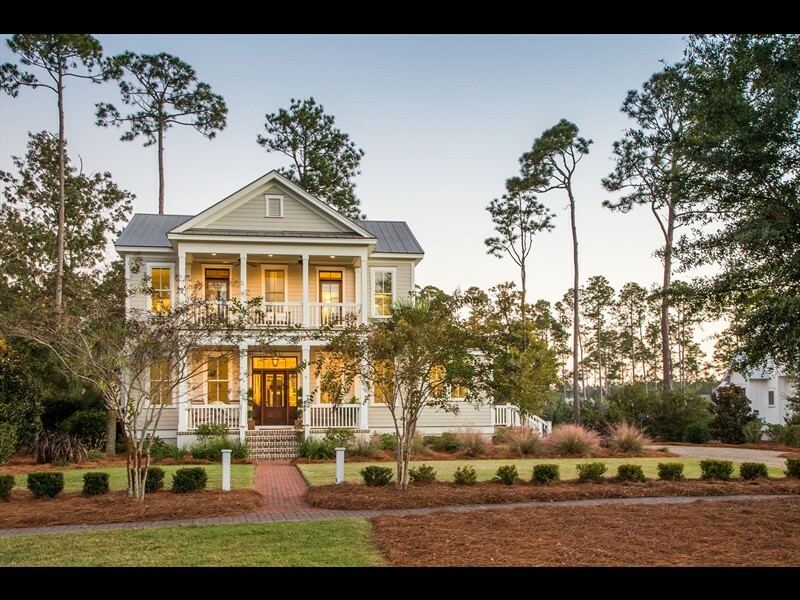 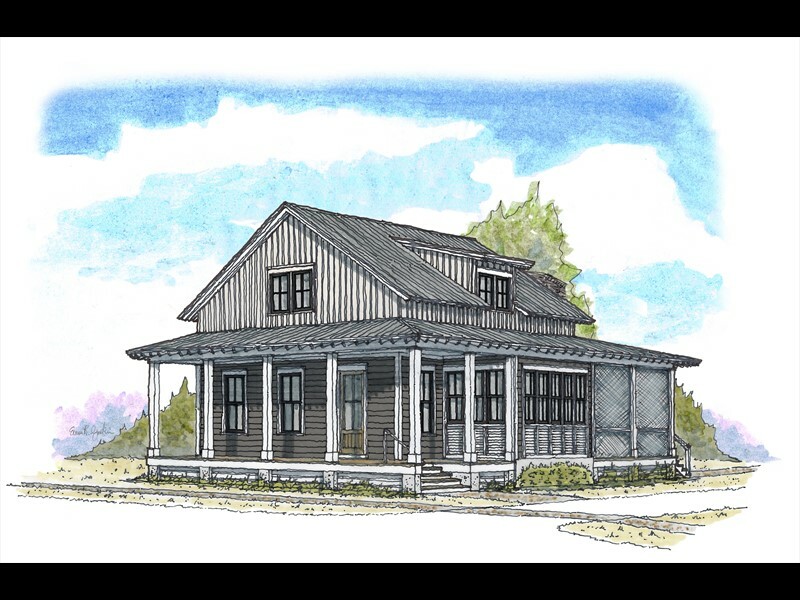 Built by Shoreline Construction, this 2,572-square-foot home has an inviting curb appeal with modest landscaping details, a brick entry walkway, 5-V metal roof, white columns and a gracious tabby-stucco front porch. 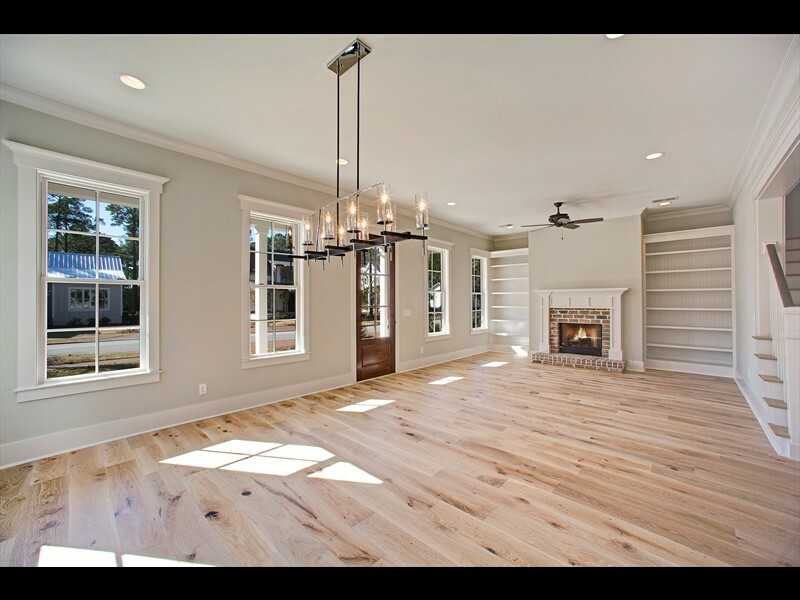 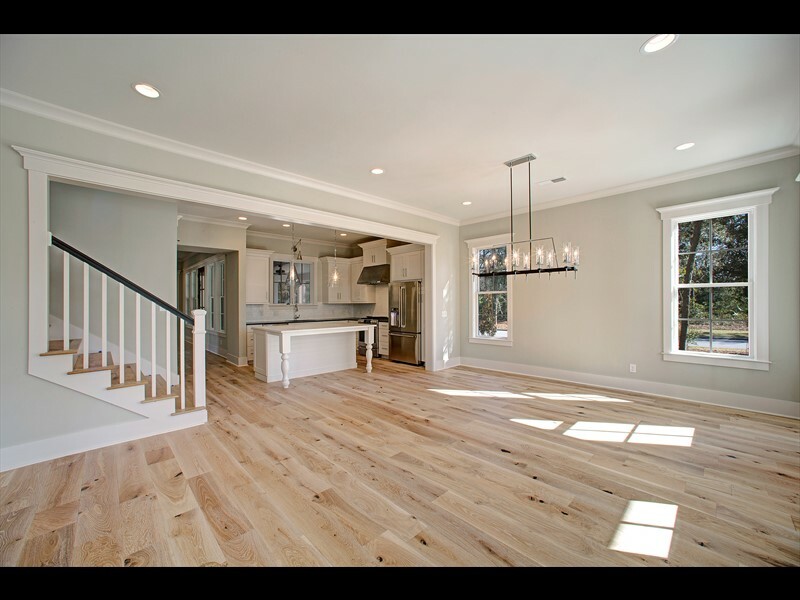 Offering ample indoor living space, the first floor of this residence is perfect for entertaining with an undivided kitchen, dining area and living area that feature a gas fireplace, large island with custom countertops. 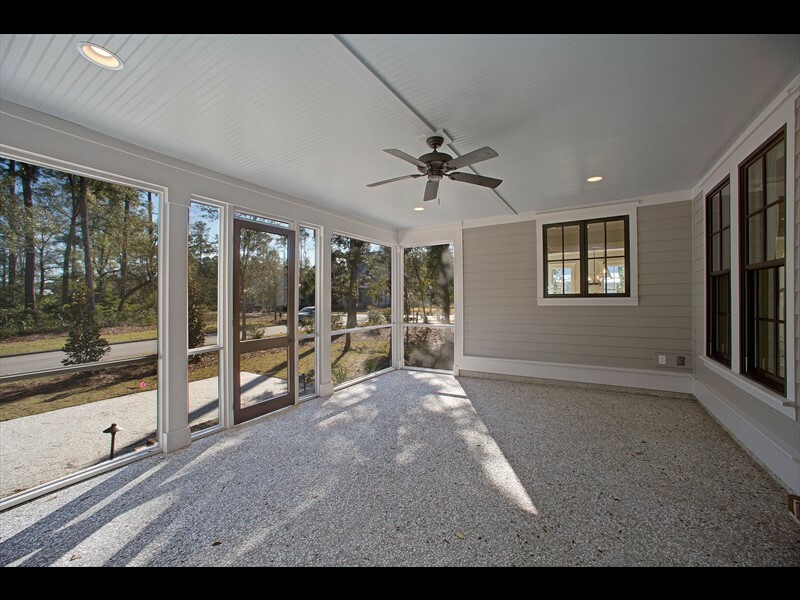 The home is also accentuated with abundant windows for natural lighting. 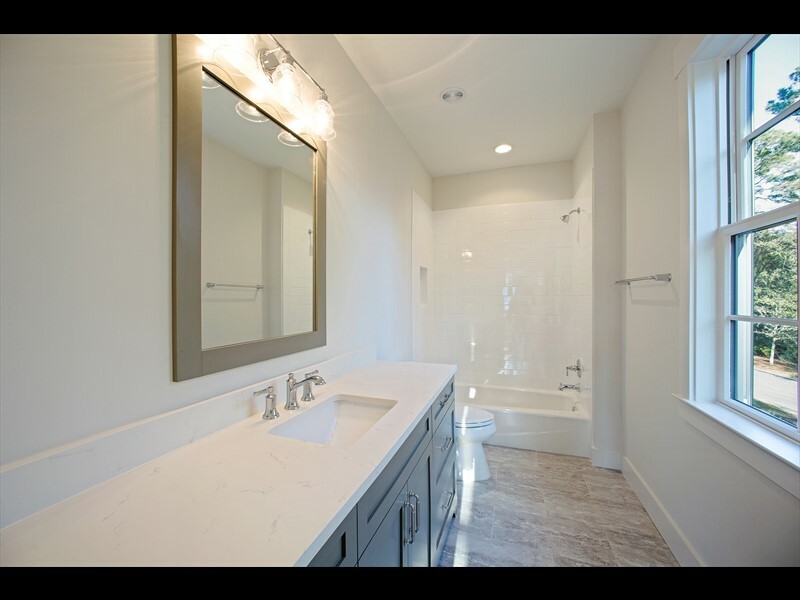 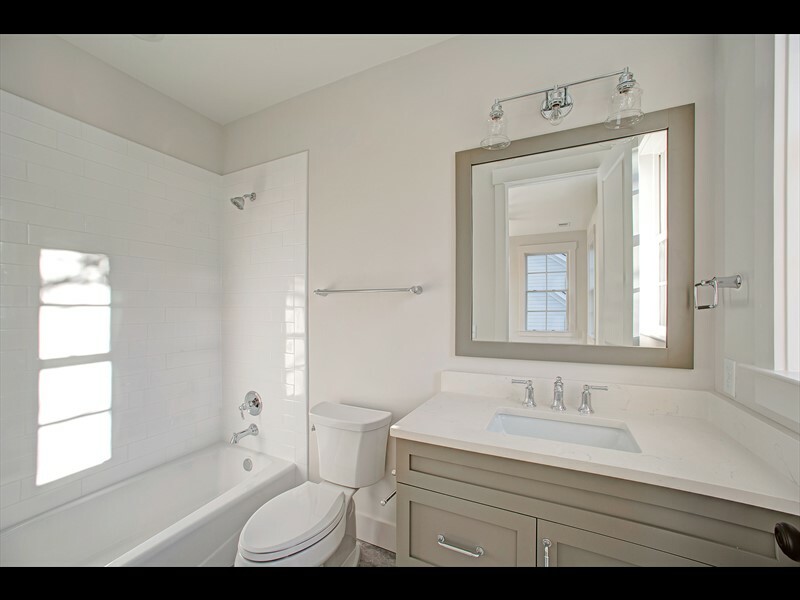 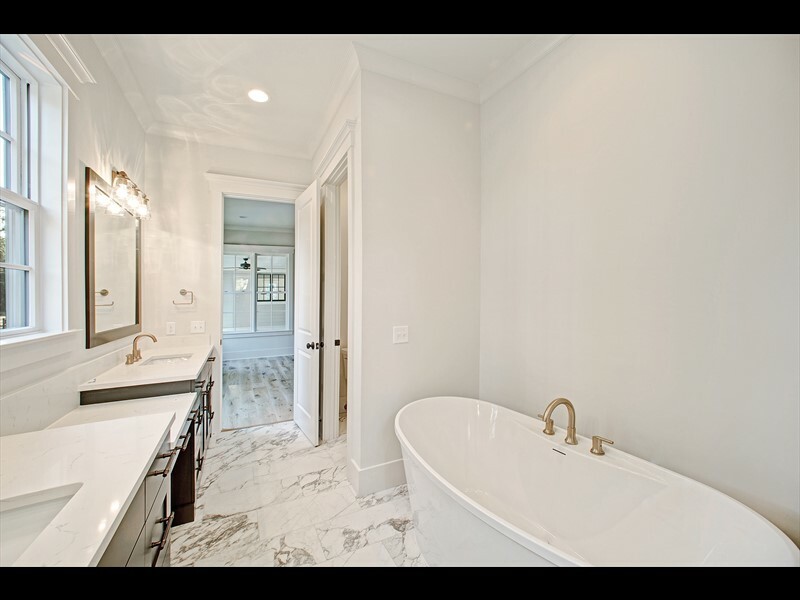 The first-floor also features the master suite with a generous walk-in closet and a relaxing bathroom with his and hers vanities, a standalone tub and glass shower. 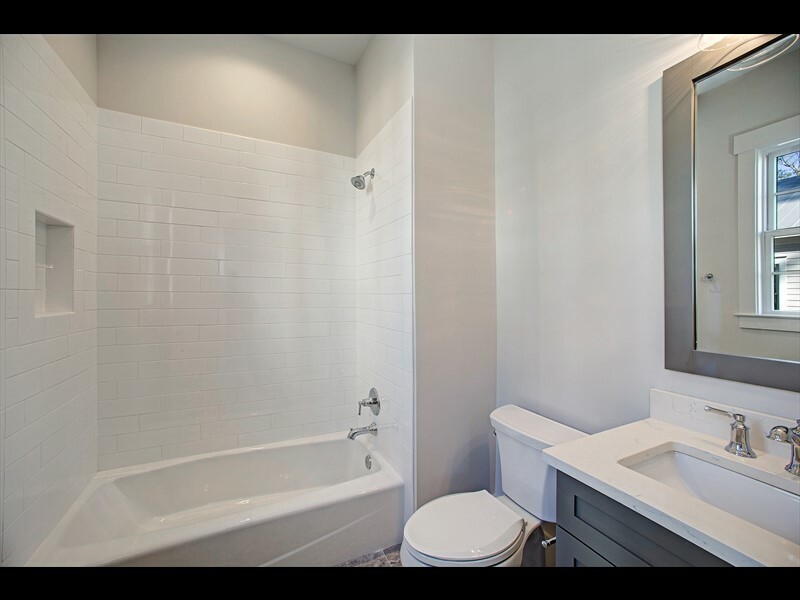 A second bedroom suite on the main level can also includes a private bathroom. 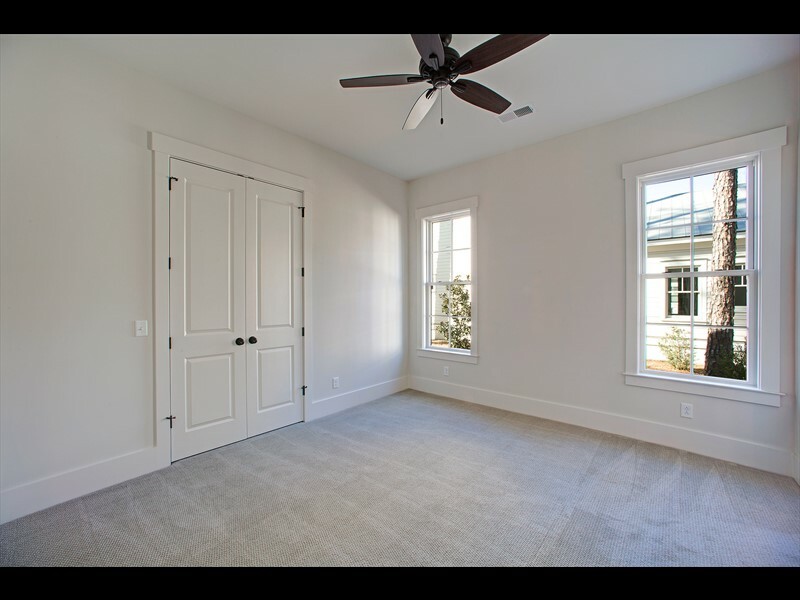 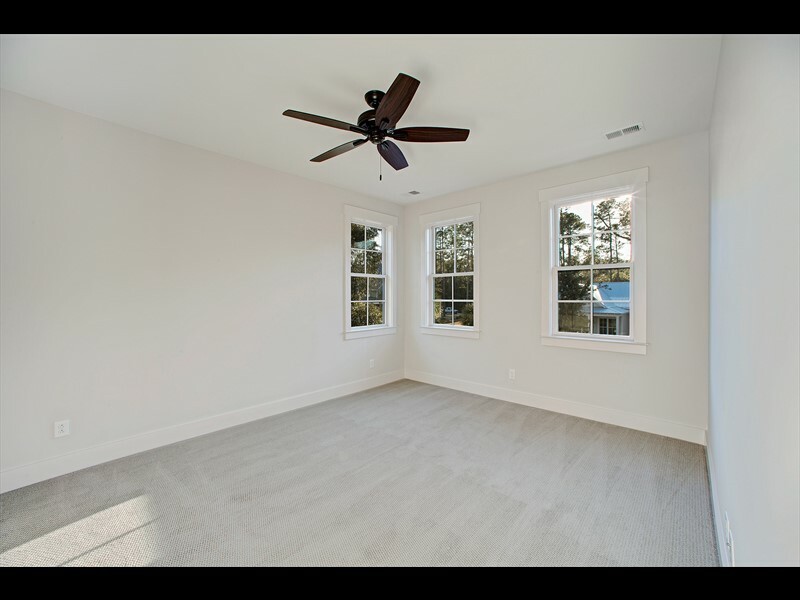 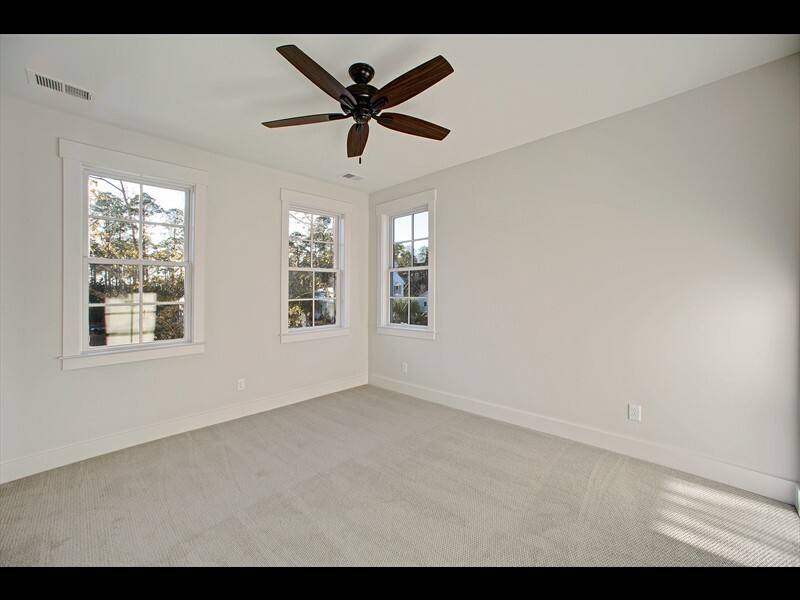 Two additional bedroom suites are located on the second floor with private bathrooms and a seating area. 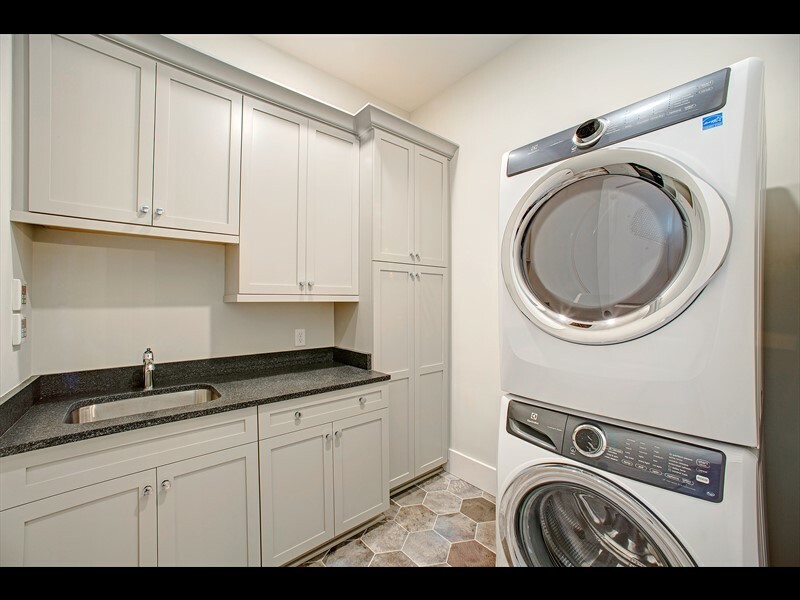 An attached two-car garage and utility room bring functionality and extra storage space to this residence. 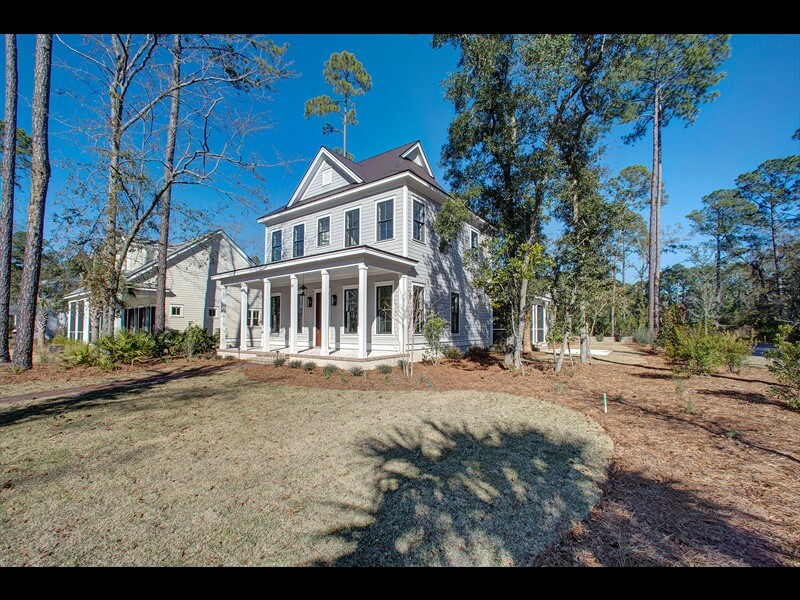 Centrally located, the ever-growing River Road neighborhood has easy access to both Wilson Village and Moreland Villages. 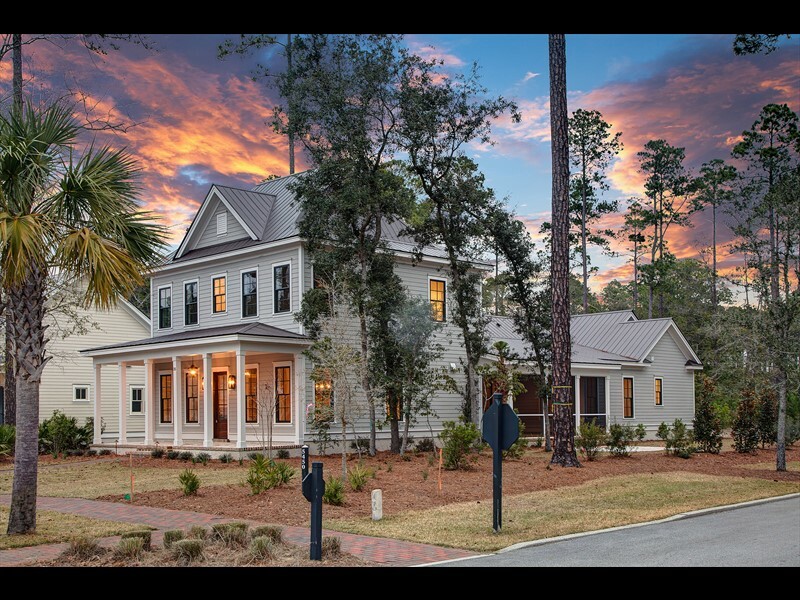 The coveted enclave is also home to the Lodge, a member-only amenity with a state-of-the-art fitness center, zero-entry pool overlooking the inland waterway and a lounge area. 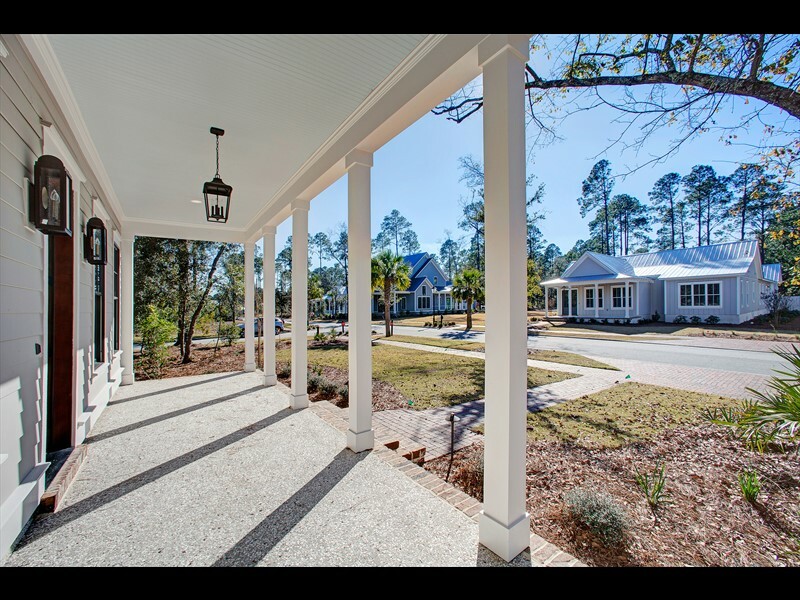 Other amenities within walking distance include the community garden, dog park, a playground and multiple community docks.